The Biobank service research group has acquired a great expertise in the biomedical research field. In particular, the group has gain experience in cell biology, molecular biology, vascular pathology, stem cells and onco-haematology (the numerous publications in international peer-reviewed journals are listed in the Publications section). 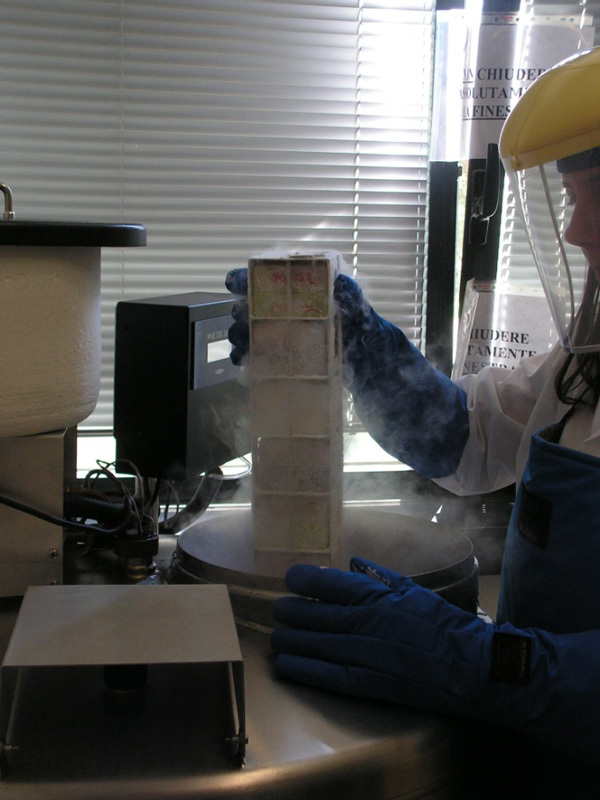 the safe storage of viable cell samples, creating a reserve of high quality cells for future studies that can be defined later on by the researcher/customer. The cryopreservation system is managed using an integrated software platform and containers for cryopreservation in vapour phase liquid nitrogen, to ensure the confidential storage of the samples and their related information. Each storage tube containing a sample and deposited in the nitrogen-filled containers is labelled by a specific bar code that can be read by the platform scanner which, in addition of ensuring the anonymity of the sample, makes it easy to be identified. 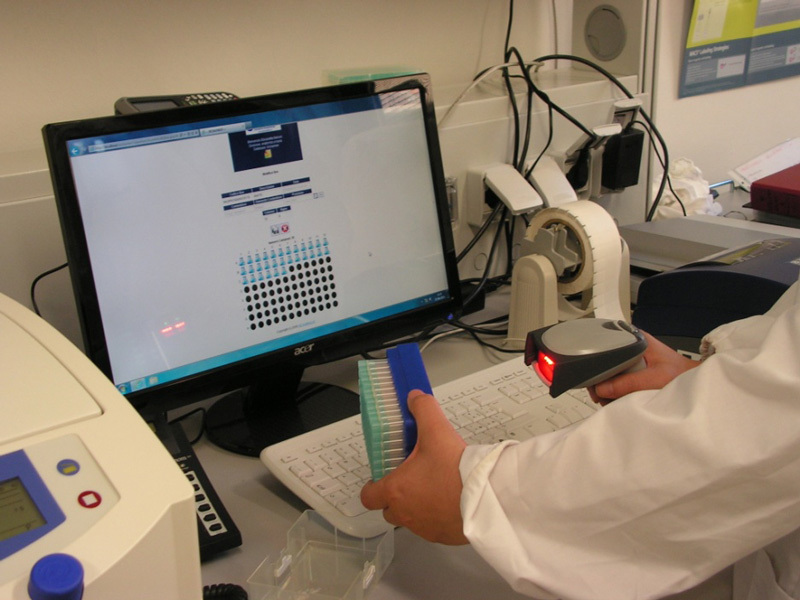 The software facilitates the identification of stored samples that have the same characteristics (e.g. samples with the same sensitivity to an in vitro treatment, or with the same level of expression of a surface marker, or samples from donor patients that underwent the same anti-cancer therapy), if these data have been entered into the database. This option offers a great advantage when there is a biobanking of a high number of samples because it allows the retrieve of selected samples for new experimental studies with a specific aim. The products and data provided by the Biobank are intended for research purposes only. The Biobank service is joined with research studies oriented toward the ex vivo expansion of highly characterized cell populations (in terms of phenotype and functionality) for in vitro preclinical experimentation and/or in vivo studies in animal models. In particular, the research is focused on the numerous issues concerning the cardiovascular, oncological and neurological fields. 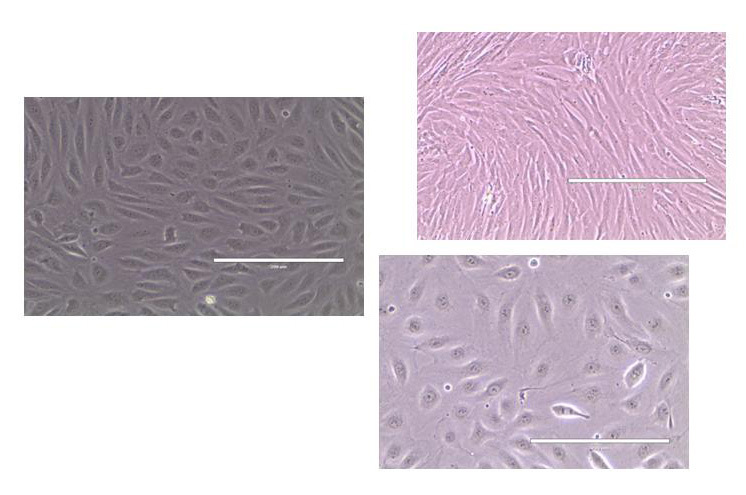 The Biobank service activities mainly consist of isolating, purifying and expanding ex vivo cell populations derived from various human organs and/or tissues (primary cells). These populations can be characterized in terms of morphology, functionality and phenotype (in collaboration with the Flow Cytometry and Microscopy services) and cryopreserved in large numbers in vapour phase liquid nitrogen for long periods of time (up to 5-10 years). Banking and cryopreservation of human biological fluids (e.g. plasma and sera) is another service that can be offered by the LTTA Biobank. In addition, the Biobank service includes the design and execution of specific cell assays, such as studies focused on the cytotoxic effects triggered by specific chemical compounds (either synthetic or natural), drugs or other biologically significant stressful events. With the Luminex technology available in our laboratories, the Biobank is also able to analyze the release of cytokines/chemokines (and other protein biomarkers) in precious small volumes samples, such as serum/plasma of patients, cell supernatants, cell lysates, etc. The details of our basic service are listed in the price list. Services can be modified upon request in accordance with the individual specific requests of companies/users. Services may be provided upon request on a subscription basis. 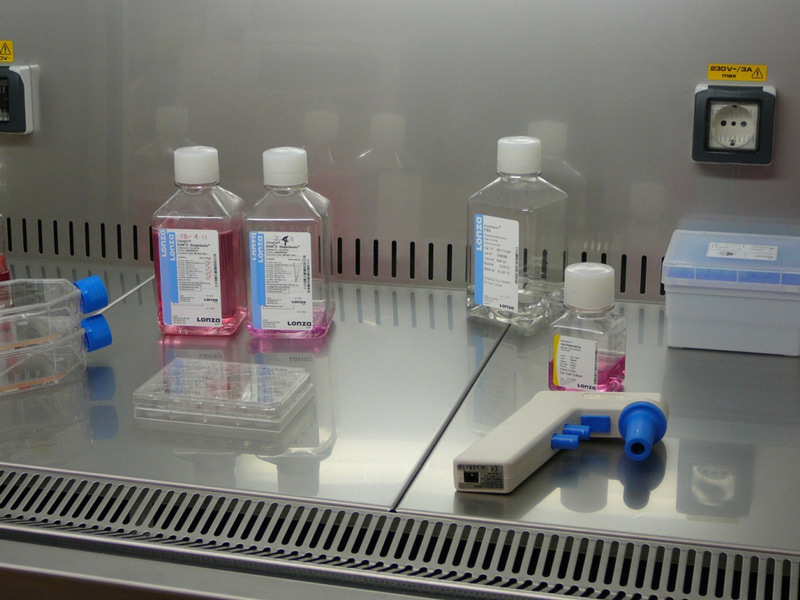 The group also performs protein analyses by western blotting and ELISA assays, and gene analyses using real-time PCR. These services can be discussed during the preliminary consultation. Recently, the Biobank has started a new banking of viable tumor samples obtained from surgical resections of surgical specimens.